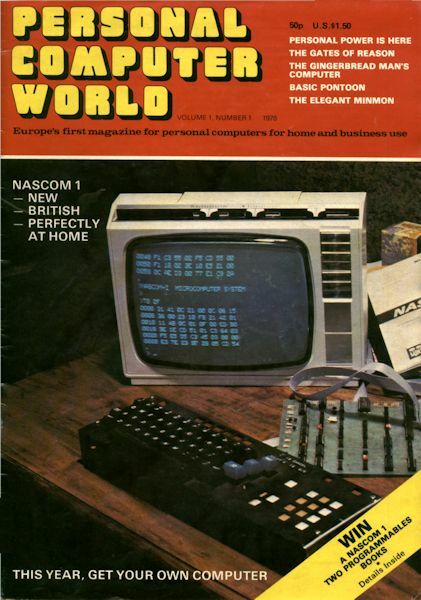 Listen along as David Greelish and Jeff Salzman discuss several of the early single board computers, including the Nascom 1, OSI Superboard, MOS Technology KIM-1, and the COSMAC ELF. All of the above single board computers don’t easily fit into the History of Personal Computing’s “Tier” philosophy, so this special podcast episode was produced. The PDF eBook version of David’s book is now free! Podcast Episode 4: Single Board Computers was posted on Friday, October 17th, 2014 at 6:09 am. This post is tagged and is filed under . You can follow the replies through the comments feed. Pings are closed but you can Leave a comment! A Blueberryware theme › 35 queries in 0.344 seconds.